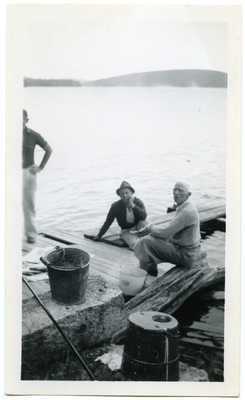 "Two Men Sitting on a Dock "
A black and white photograph of two men sitting on the end of a dock. No date, location or names noted. From the Amadamast Fishing Club records.